Located in the northeast and New England region of the United States, Vermont sits south of the border of Canada. 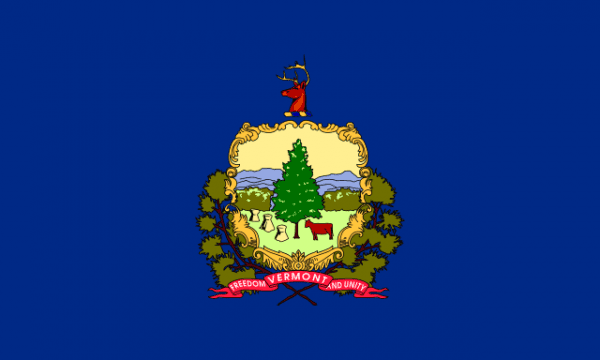 With New Hampshire to its east, New York to the west, and Massachusetts to the south, Vermont is also rightfully called “The Green Mountain State”. The capital of Vermont is Montpelier but the largest city and metro area is Burlington which is located in the northwestern region. Vermont is ranked 45th in area in the nation and 49th in population with over 600K residents. It was voted into the union as the 14th state in the nation in 1791. Half of the western border is formed by Lake Champlain and the range of mountains from the Appalachians are called the Green Mountains. Before it was part of the union, Vermont was the first state to partially abolish slavery from its region. If you are looking for the scrap prices in Vermont, the iScrap App can help. After you locate the scrap yards in the area, you can search through their prices. Also scrappers using the iScrap App can report their own scrap prices for metals like copper, steel, and brass. The economy is Vermont is very diverse with government, retail, construction, health care, educational services, transportation, and tourism. There is some mining throughout the state, but not enough to make a large impact on the nation’s output. The state of Vermont is the largest producer of Maple Syrup and also has a large role in organic agriculture. The scrap yards that are located in Vermont can be found scattered around the state. The importance of metal recycling in Vermont is important to contributing to processing and production of equipment and manufacturing needed throughout the state of Vermont. You can bring your steel, copper, aluminum, stainless steel, and other scrap to the local Vermont scrap yards listed on the iScrap App. You can search for scrap yards on the map above or you can search by zip code in our directory.